6800601 MTC10 YALE MTC10 Very Narrow Aisle Trucks MTC series. Spare Parts Catalog. Service (workshop) Manual. Operator's Instruction Manual. 6800602 MTC13 YALE MTC13 Very Narrow Aisle Trucks MTC series. Spare Parts Catalog. Service (workshop) Manual. Operator's Instruction Manual. 6800603 MTC13-80 YALE MTC13-80 Spare parts catalogVery Narrow Aisle Trucks MTC series. Spare Parts Catalog. Service (workshop) Manual. Operator's Instruction Manual. 6800604 MTC13LWB YALE MTC13LWB Very Narrow Aisle Trucks MTC series. Spare Parts Catalog. Service (workshop) Manual. Operator's Instruction Manual. 6800605 MTC15 YALE MTC15 Very Narrow Aisle Trucks MTC series. Spare Parts Catalog. Service (workshop) Manual. Operator's Instruction Manual. 6800606 MTC15LWB YALE MTC15LWB Very Narrow Aisle Trucks MTC series. Spare Parts Catalog. Service (workshop) Manual. Operator's Instruction Manual. 6800607 MTC15MWB YALE MTC15MWB Very Narrow Aisle Trucks MTC series. Spare Parts Catalog. Service (workshop) Manual. Operator's Instruction Manual. 6800608 MTC15SWB YALE MTC15SWB Very Narrow Aisle Trucks MTC series. Spare Parts Catalog. Service (workshop) Manual. Operator's Instruction Manual. 6800610 NTA030SB YALE NTA030SB Very Narrow Aisle Trucks NTA series. Spare Parts Catalog. Service (workshop) Manual. Operator's Instruction Manual. 6800611 NTA035SB YALE NTA035SB Very Narrow Aisle Trucks NTA series. Spare Parts Catalog. Service (workshop) Manual. Operator's Instruction Manual. 6800612 NTA040SA YALE NTA040SA Very Narrow Aisle Trucks NTA series. Spare Parts Catalog. Service (workshop) Manual. Operator's Instruction Manual. 6800614 OS030BD YALE OS030BD Order selector OS series. Spare Parts Catalog. Service (workshop) Manual. Operator's Instruction Manual. 6800615 OS030BE YALE OS030BE Order selector OS series. Spare Parts Catalog. Service (workshop) Manual. Operator's Instruction Manual. 6800616 OS030BF YALE OS030BF Order selector OS series. Spare Parts Catalog. Service (workshop) Manual. Operator's Instruction Manual. 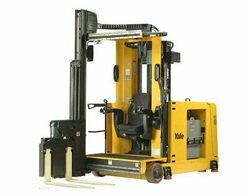 6800617 OS030E YALE OS030E Order selector OS series. Spare Parts Catalog. Service (workshop) Manual. Operator's Instruction Manual. 6800618 OS030EB YALE OS030EB Order selector OS series. Spare Parts Catalog. Service (workshop) Manual. Operator's Instruction Manual. 6800619 OS030EC YALE OS030EC Order selector OS series. Spare Parts Catalog. Service (workshop) Manual. Operator's Instruction Manual. 6800620 OS030EF YALE OS030EF Order selector OS series. Spare Parts Catalog. Service (workshop) Manual. Operator's Instruction Manual. 6800622 SS030BD YALE SS030BD Order selector SS series. Spare Parts Catalog. Service (workshop) Manual. Operator's Instruction Manual. 6800623 SS030BE YALE SS030BE Order selector SS series. Spare Parts Catalog. Service (workshop) Manual. Operator's Instruction Manual. 6800624 SS030BF YALE SS030BF Order selector SS series. Spare Parts Catalog. Service (workshop) Manual. Operator's Instruction Manual.